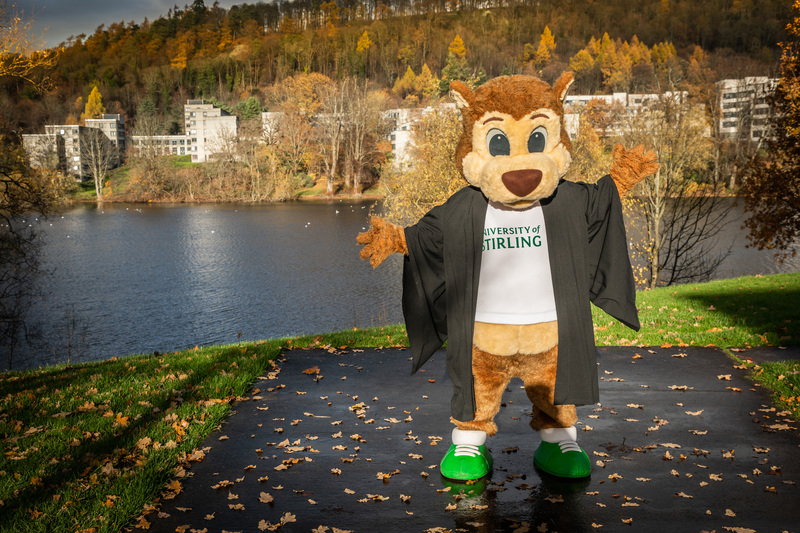 Yes, Friday 23rd November marks our winter Graduation ceremony, the culmination of your time at the University of Stirling and your chance to make memories that will stay with you for a lifetime. 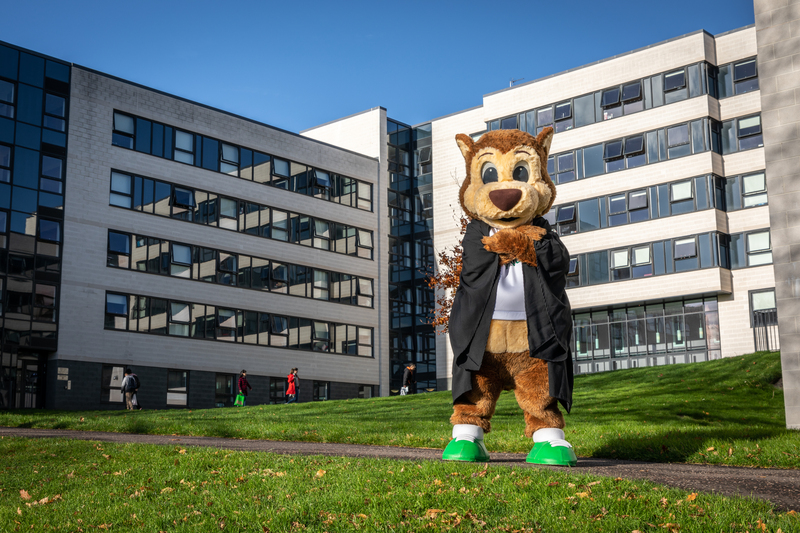 Ok, so it’s not much of a hill, and we pretty much just made up the name for the purposes of this blog, but outside the Cottrell Visitor reception you’ll find a great spot to get some snaps on your Graduation day. At this time of year, the sun can make things a little tricky, but employ a little bit of creativity with your angles and you can walk away with some keepers here. 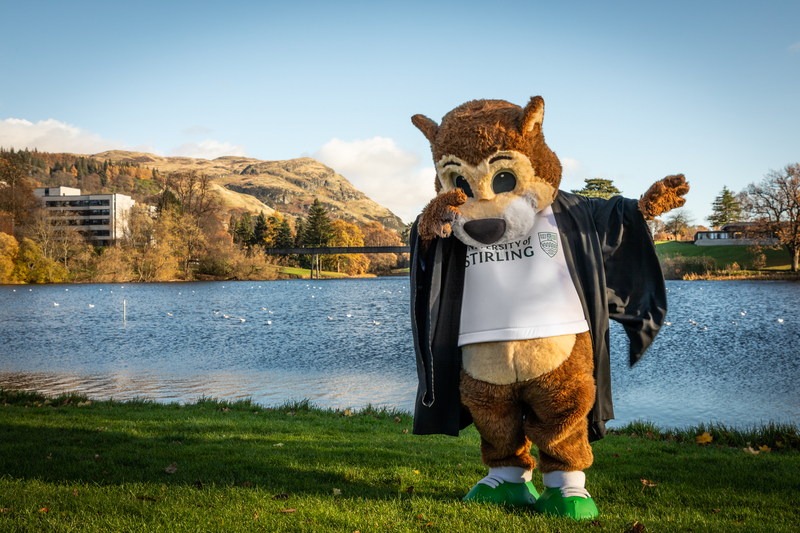 Bonus points if you get the Wallace Monument in the background! 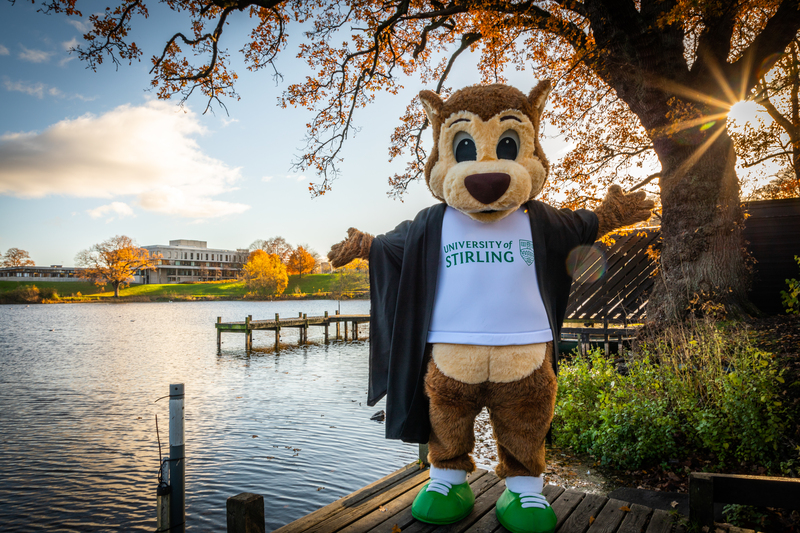 Airthrey Loch holds a special place in all Stirling students’ hearts during their time here, so it should be no surprise that it features strongly on our list. Snapping a shot down at the jetty in particular, gives a great view of part of the campus. Play your cards right and you may get some well known feathered friends striking a pose in the background. Enough swanning about (#SwanPun), time to move on to number 3 on our list. Would you look at that, it’s our old pal the Loch again. This view is a fan favourite on social media, and for good reason. 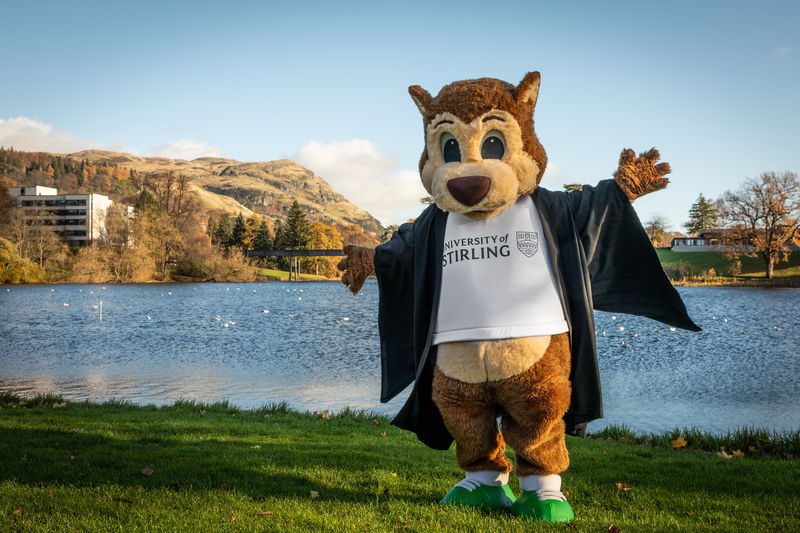 With Airthrey Loch, the Loch Bridge and the stunning Dumyat in full view, you’d be nuts (#SquirrelPun) not to get a shot here. Look around carefully and you will probably find the well worn footprints of countless past students who posed at this spot for…THE DISSERTATION SELFIE. Fun fact – The name ‘Dumyat’ is thought to originate from Dun (hill fort) of the Maeatae, a confederation of tribes who lived probably beyond the Antonine Wall in Roman Britain. (thanks Wikipedia!). Next up on our list, why not grab your room mates and get a photo outside your first flat? 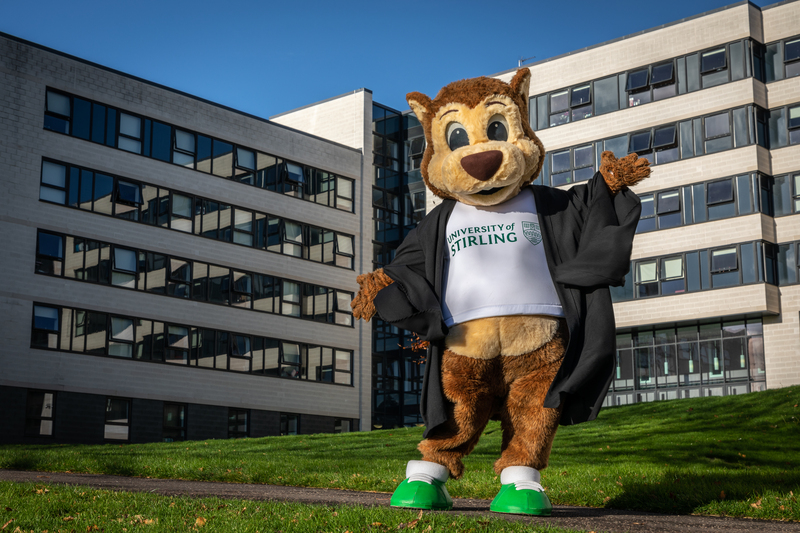 University is a place where you can make lifelong enemies friends and taking the time to get a photo with your flat buddies is something you will look back on fondly when you get homesick for Stirling (oh yes you will!). 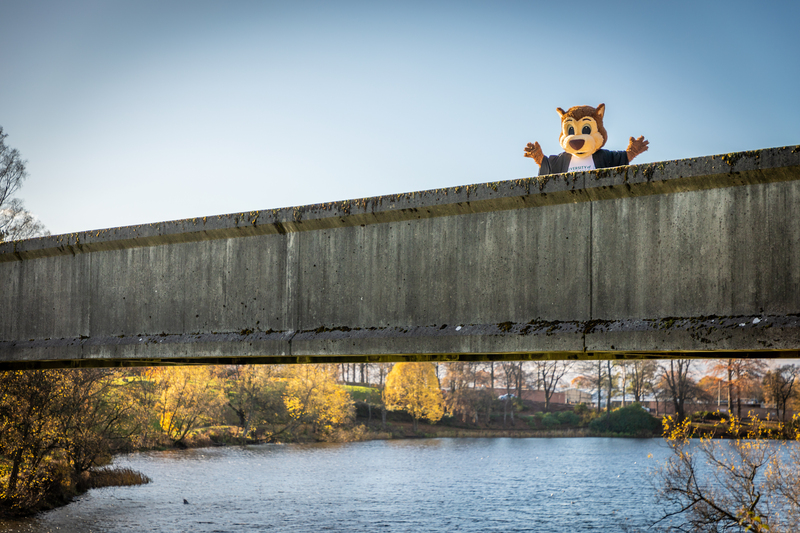 Another landmark feature of the Stirling campus is the Loch Bridge, a main artery which has seen countless footfall and links the halls of residence to the wider campus. Caution should be exercised when crossing this bridge, as unsuspecting students can find themselves crashing into the back of someone who has suddenly stopped dead in their tracks to take a photo. 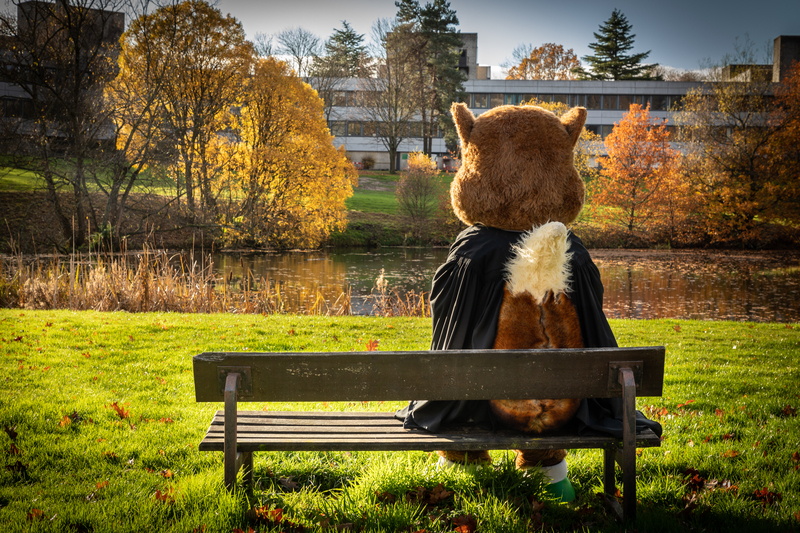 Understandable, it’s a wonderful vantage point and one that would look great in your Graduation photo album. In between Cottrell visitor reception and Queens Court you’ll find this fantastic spot. 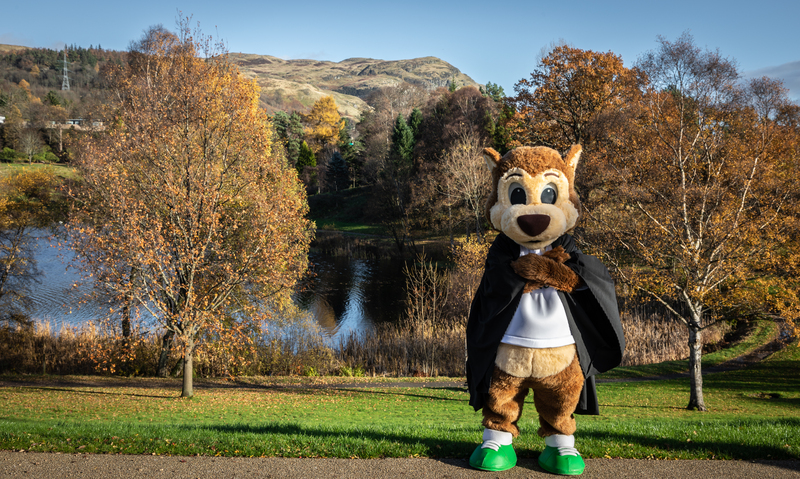 Just look out for the feather sculpture and you’ll find a great little vantage point that gives a stunning view out over Airthrey Loch and the Halls of residence on the other side in the distance. 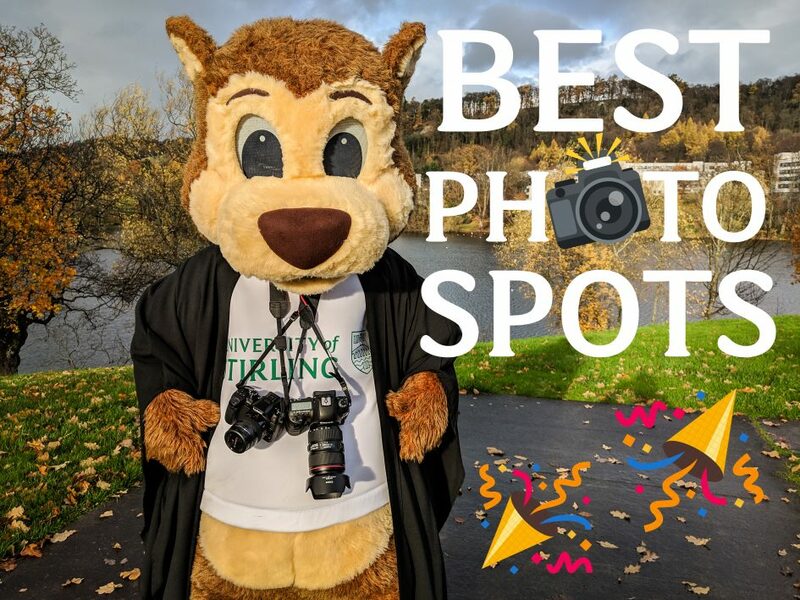 Ok, maybe this one is a bit of a cop out, but we truly believe this is one of the most stunning campuses on Earth and you’d be hard pressed to take a bad photo anywhere. Being Scotland, unpredictable weather comes with the territory, so a little preparation to face the elements is always advised. Graduation is a time for celebration but also a time for reflection. 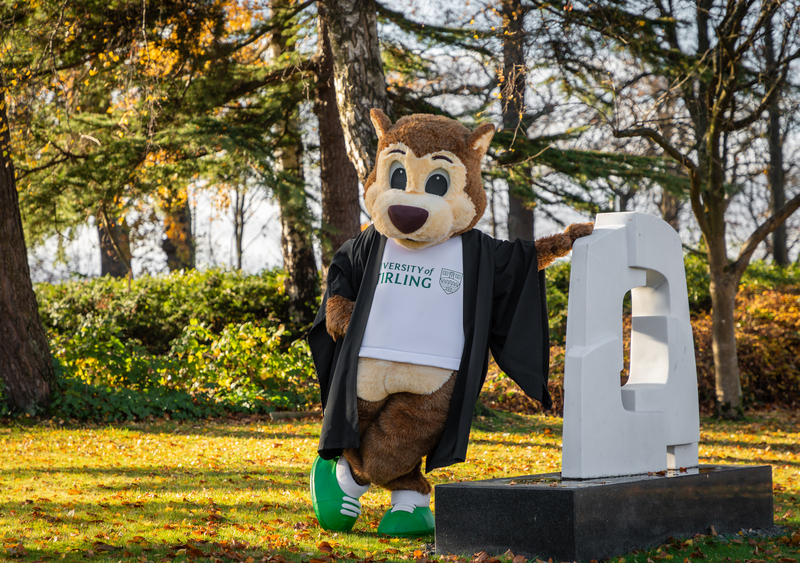 In all the hustle and bustle, selfies and perhaps a tear or two, make sure to take in the campus and remember your time here as a #UofStirling student. So there you have it! Use this list as a guide and we fully encourage you to get creative on Graduation day. Remember, This is your day and we hope it’s an awesome one, shared with friends and family. We’re proud of every single one of our Graduates and know you will go on to achieve great things. 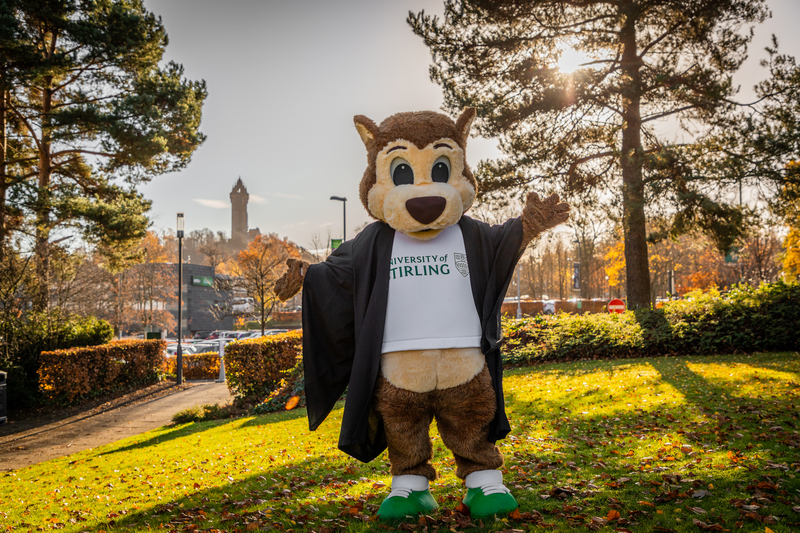 Don’t forget to share your pics with us on the day by tagging us with #StirGrad. We’ll be following closely and sharing some of the best snaps that come in on Facebook, Twitter and Instagram.